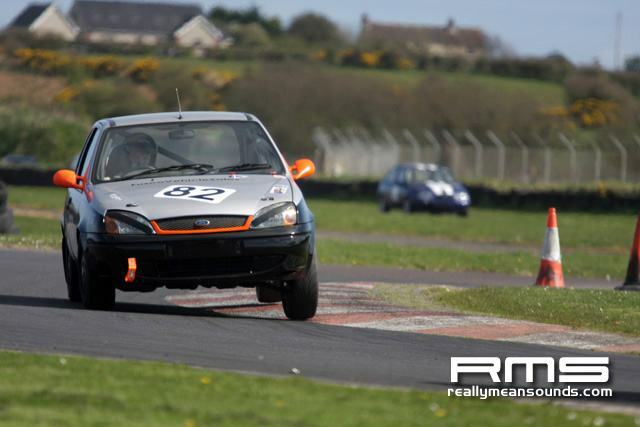 The 2012 racing season got off to a flying start, nine races held in ideal conditions with a welcome new class for Ford Fiestas pioneered by Roy Smyth and again with the young set the two opening rounds of the Ginetta Ireland Juniors. 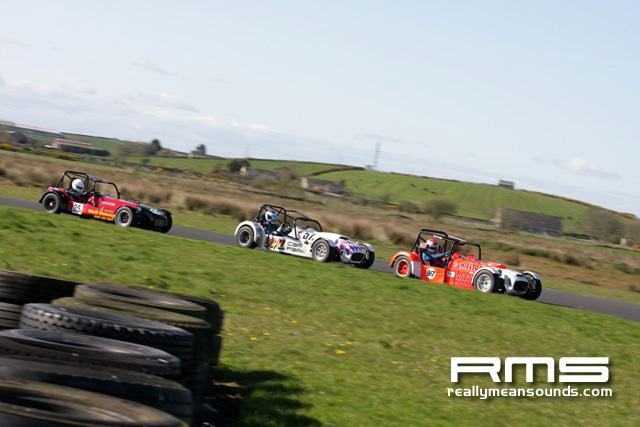 Formula Ford 1600 did not disappoint with two rounds of the 2012 Northern Ireland Championship, wins apiece for Jonathan McMullan and Ivor McCullough with McMullan establishing a new class record in race one. 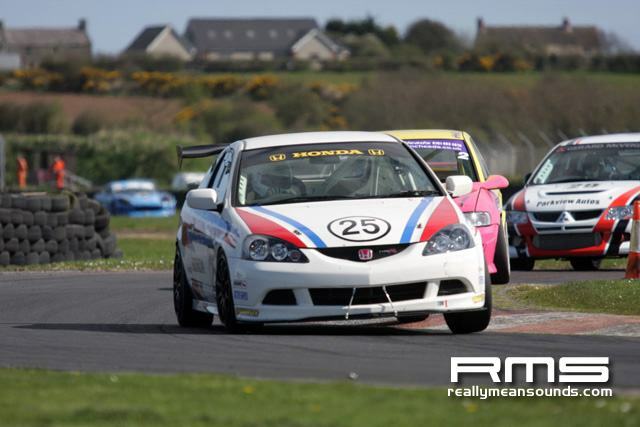 Two races for Roadsports with wins for Jim Larkham and Colin Reid and in N.I. Sevens Ryan Magennis proved to be the man to beat. 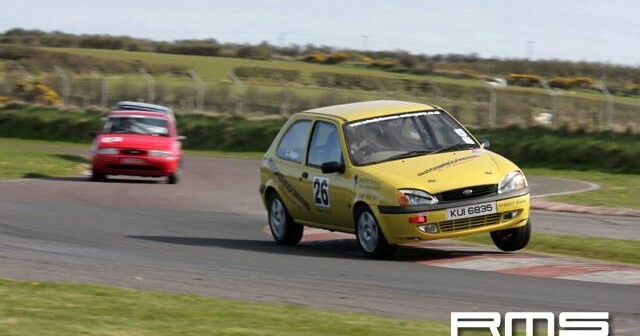 Connaire Finn was the easy victor in the Saloon/GT race and great to see a number of new drivers and cars and there could be as many as 20 saloons on the grid come May. 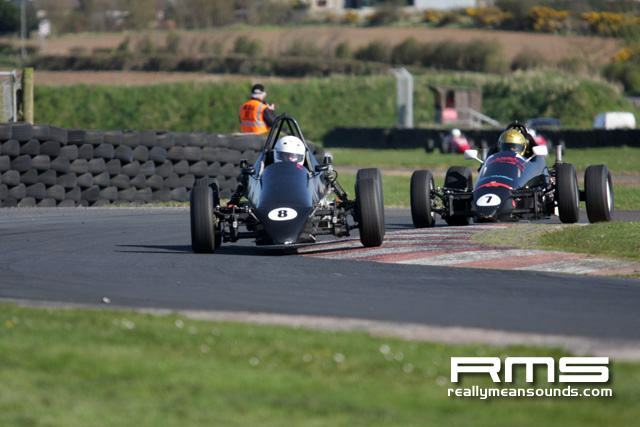 No surprise that the opening round of the Irish Formula Vee Championship was incident packed and featuring the first time unveiling of the red flag for the 2012 season. Ray Moore the victor and Mrs Moore came home in fifth. 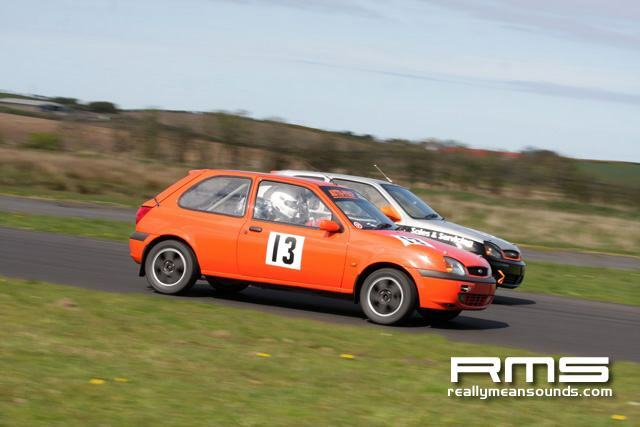 Roadsports: race 1; 1 Jim Larkham (Radical PR6) 13 laps in 13m 25.37s (87.86mph); 2 Colin Reid (Reis Aero) +1.45s; 3 Ryan Magennis (GMS); 4 Trevor Allen (Sylva Stryker); 5 Alan Davidson (Westfield Honda); 6Johnny Armstrong (Westfield Honda); 7 Jimmy Dougan (Locost Honda); 8 Davis Buick (Indy Honda); 9 Wesley McCreary (Indy Honda); 10 Gary Jones (Westfield Honda). PP: Jim Hutchinson (Westfield GM) 59.48s (91.51mph). 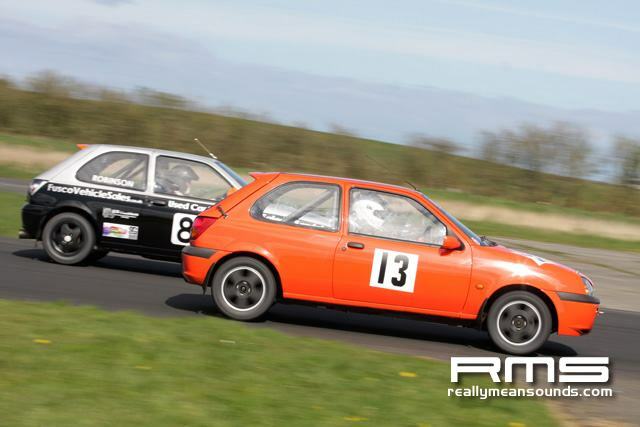 FL: Larkham 1m 00.82s (89.49mph).class winners: Larkham, Magennis. 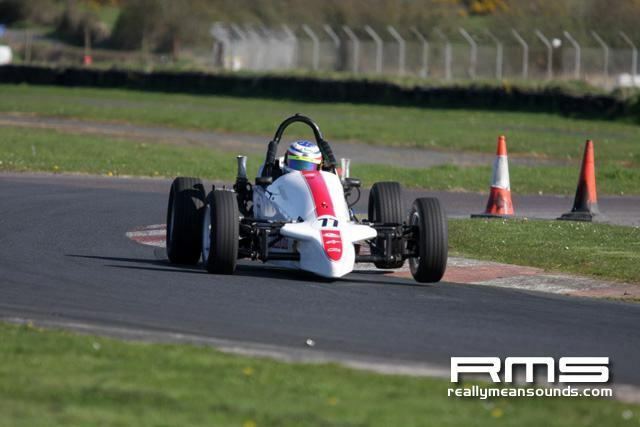 Boal class record 1m 03.44s (85.80mph). S: 13. race 2. 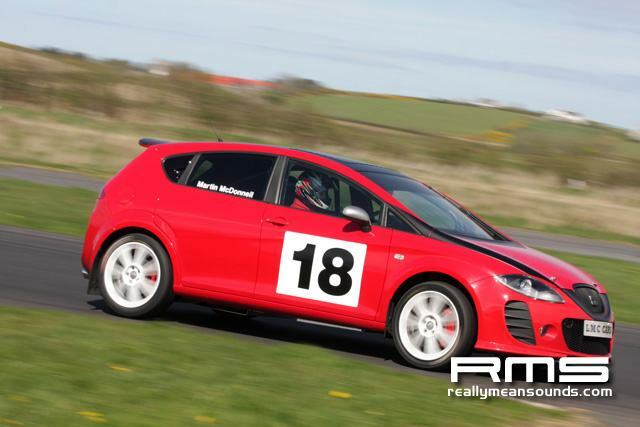 1 Reid 13 laps in 13m 33.17s (87.02mph); 2 Larkham +19.74s; 3 Magennis; 4 Davidson; 5 Allen; 6 Dougan; 7 Armstrong;8 Buick; 9 Jones; 10 Kieran Smyth (OX7 GM). PP: Hutchinson 1m 00.56s (90.63mph). 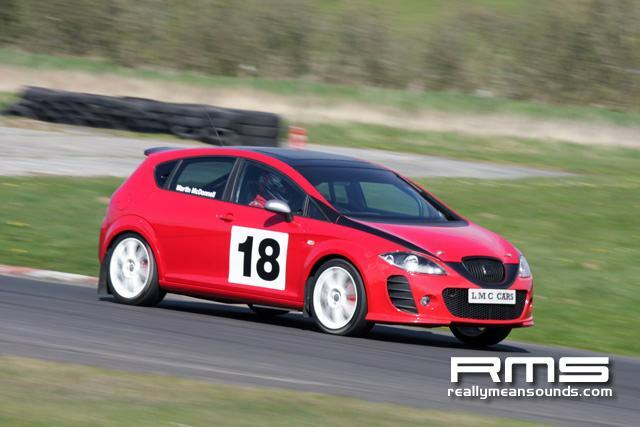 FL: Larkham 1m 00.98s (89.27mph). class winners, Reid, Magennis. S: 14. 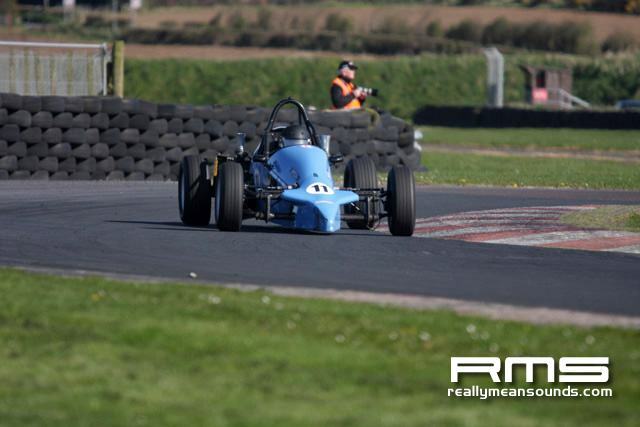 Formula Vee: 1 Ray Moore (Leastone JH004) 12 laps in 14m 04.19s (77.37mph); 2 Lee Newsome (Sheane FV93) +0.14s; 3 Ian Campbell (Sheane FV02); 4 David Kelly (Sheane FV02); 5 Paula Moore (Leastone JH004); 6 Morgan McCourt (Leastone JH004); 7 Colin Blackburn (Leastone JH004); 8 Damien Murphy (Sheane FV01); 9 Kevin Grogan (Leastone JH002); 10 Niall McGahon (Sheane FV01). PP: Ray Moore 1m 04.23s (84.75mph). FL: Ray Moore 1m 04.83s (83.96mph) record. S: 14. 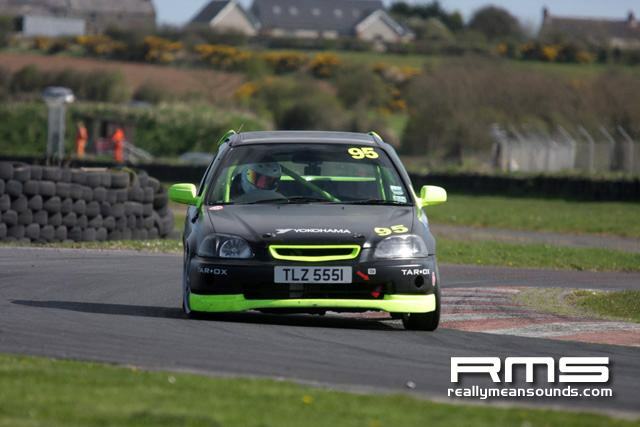 Saloon/GT: 1 Connaire Finn (Ginetta G59) 13 laps in 13m 26.87s (87.70mph); 2 Stephen Traub (Honda Integra) +50.38s; 3 Gerard McVeigh (Mitsubishi EVO 8 ); 4 Ralph Jess (BMW M3); 5 David Morrison (BMW M3); 6 Tony Traub (Honda Integra); 7 David Beatty (Ginetta G50); 8 Donal ONeill (SEAT Cupra); 9 Greer Wray (Vauxhall Vectra); 10 Martin McDonnell (SEAT Leon). 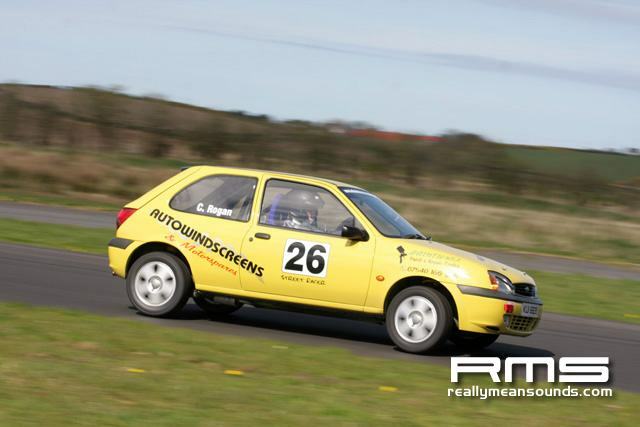 PP: Finn 1m 00.48s (89.99mph). 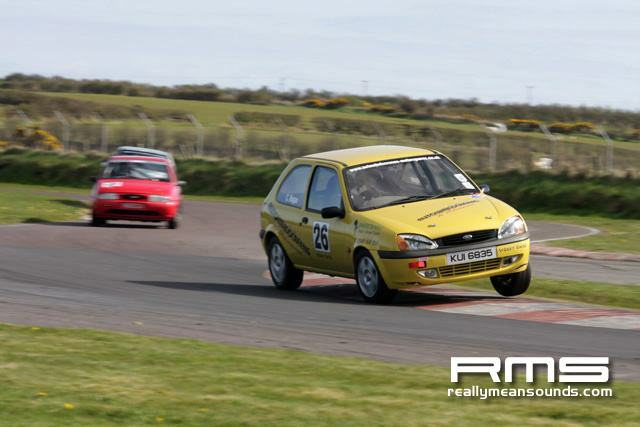 FL: Finn 1m 00.61s (89.80mph). class winners: Finn, Stephen Traub, S: 13. 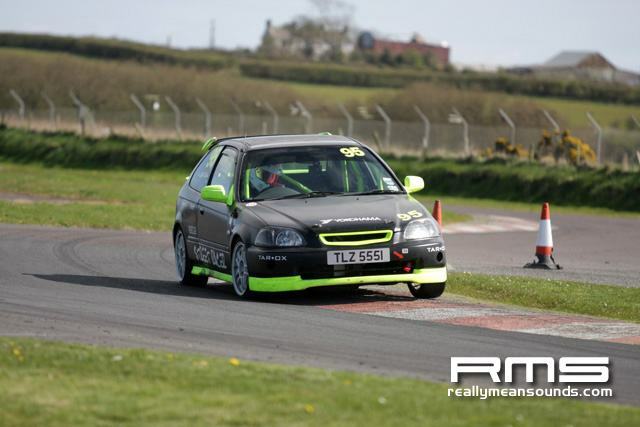 Ford Fiesta: 1 James Turkington 10 laps in 13m 21.20s (67.94mph); 2 Andrew McShane +1.29s; 3 Ian Newport; 4 Ryan Robinson; 5 Roy Smyth; 6 Norman Black. PP: Turkington 1m 18.07s (69.72mph). 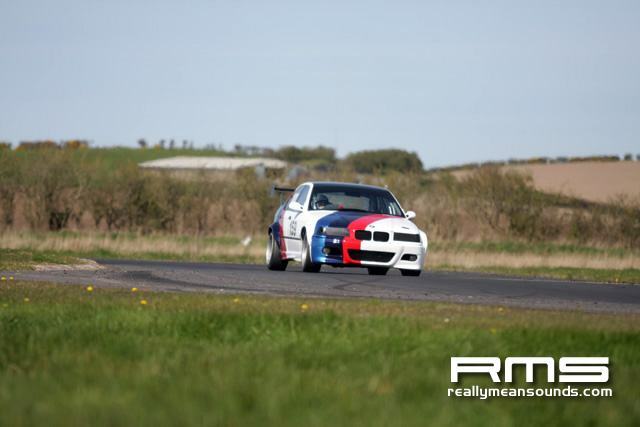 FL: Turkington 1m 18.33s (69.49mph). S: 7. 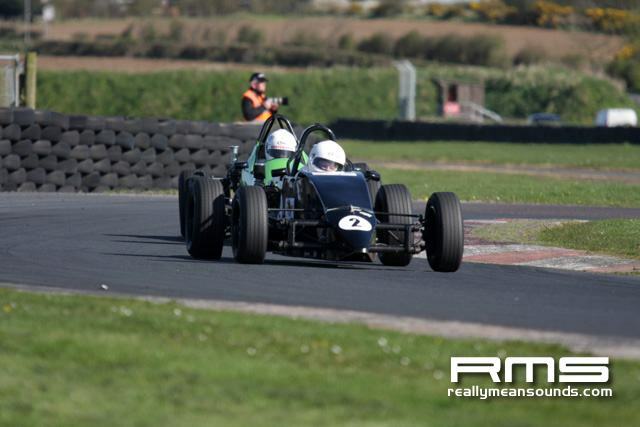 Formula Ford 1600: race 1. 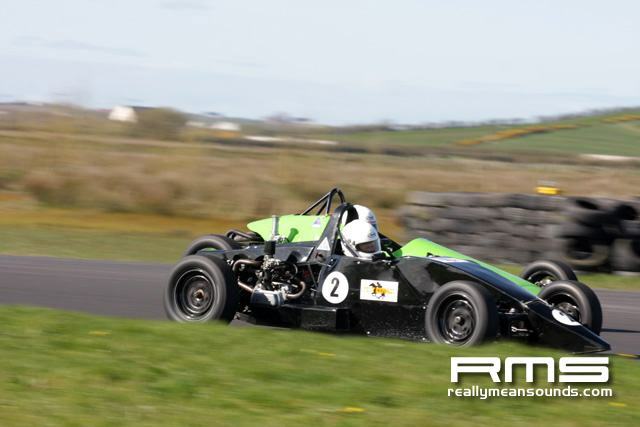 1 Jonathan McMullan (Mondiale M89S) 12 laps in 12m 28.17s (87.30mph); 2 Neville Smyth (Ray GR07) + 0.03s; 3 Ivor McCullough (Van Diemen RF00); 4 Adrian Pollock (Van Diemen DP09); 5 Neville Anderson (Mondiale M89S); 6 Andrew Noble (Reynard FF89); 7 John Stewart (Reynard FF83); 8 Jackie Christie (Mondiale M94S); 9 David Nicholl (Reynard FF89); 10 Paul McMorran (Crossle 32F). PP: McCullough 1m 00.89s (89.38mph). 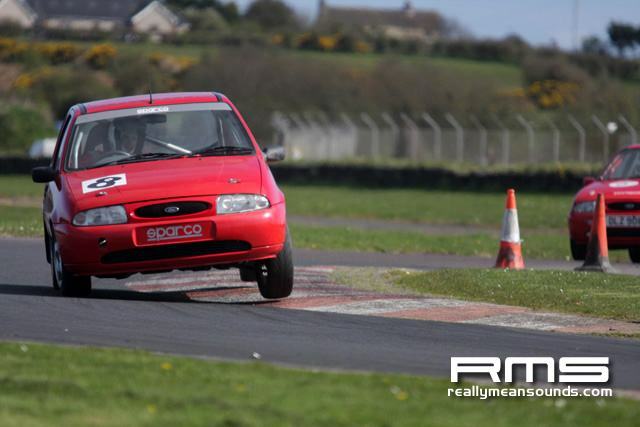 FL: McMullan 1m 01.02s (89.20mph) record. S: 14. race 2. 1 McCullough 13 laps in 13m 28.22s (87.55mph); 2 Pollock +1.48s; 3 Smyth; 4 McMullan; 5 Noble; 6 Anderson; 7 Stewart; 8 McMorran; 9 Christie; 10 Nicholl. PP: McCullough 1m 00.10s (89.23mph). 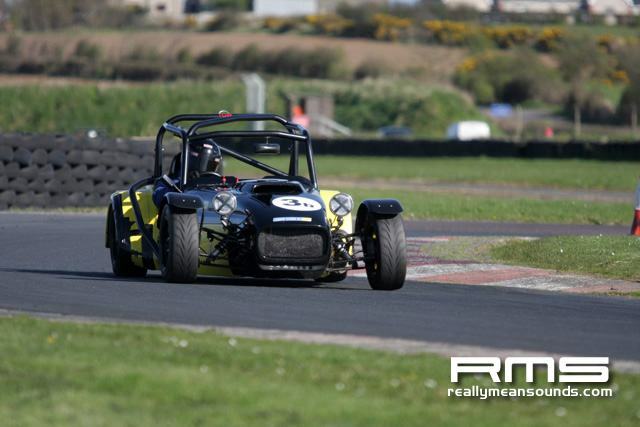 FL: McMullan 1m 01.07s (89.12mph). S: 14. Ginetta Junior Ireland: race 1 Jake Byrne 10 laps in 12m 15.42s (74.01mph); 2 James Fleming +5.05s; 3 Andrew Clarke; 4 Jack Finlay; 5 Sophie Byrne; 6 Dylan Curley; 7 Luke Hourihan; 8 James Huddleston; 9 Eorann ONeill. PP: Jake Byrne 1m 12.19s (75.40mph). 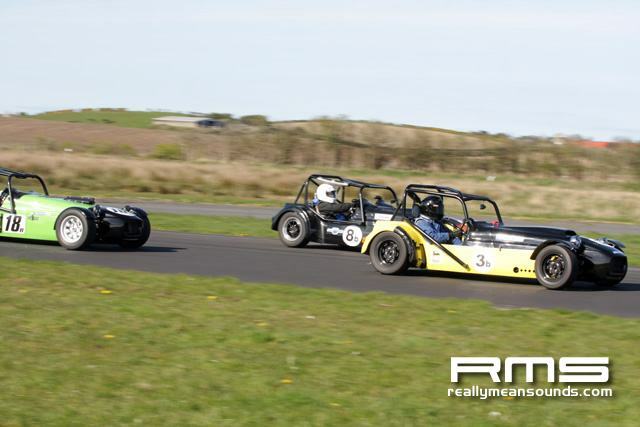 FL: Clarke 1m 12.14s (74.01mph). S: 9. race 2: 1 Byrne 10 laps in 12m 12.19s (74.34mph); 2 Fleming +6.42s; 3 Clarke; 4 Curley; 5 Sophie Byrne; 6 Finlay; 7 Huddleston; 8 ONeill. PP: Jake Byrne 1m 12.25s (75.34mph). 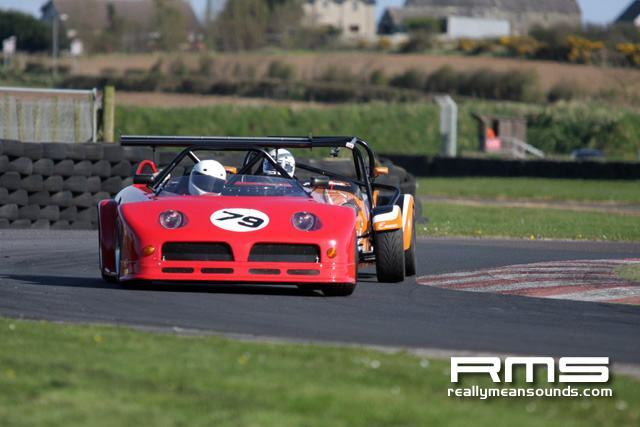 FL: Clarke 1m 12.09s (75.50mph). S: 9.